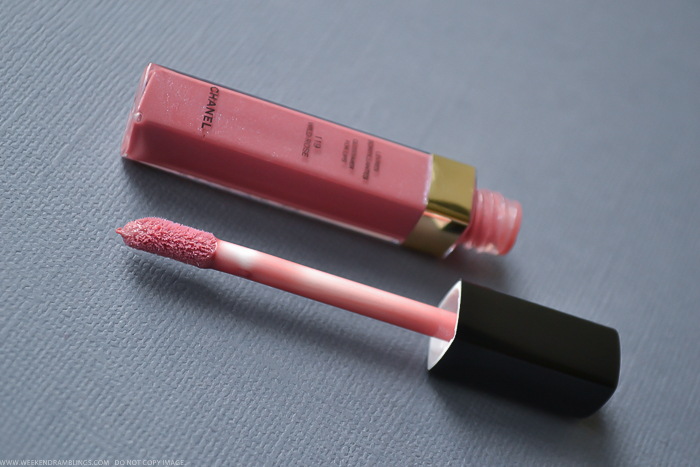 Chanel Levres Scintillantes Glossimer in Wild Rose is a soft mauve-rose color with silver shimmer mixed in. It is a little more pigmented than the average Chanel Glossimer, though still sheer because, well, it is a lipgloss. The shimmer is a lot more prominent in the tube than on the lips - which to me is a good thing - but it is visible up close and just adds to the glossy shiny effect. The color will show up as a soft dusty rose on lips that aren't too pigmented, but mine are, so the effect is a little less obvious when used on its own. I don't usually use lipglosses on their own, unless they are the superpigmented variety. 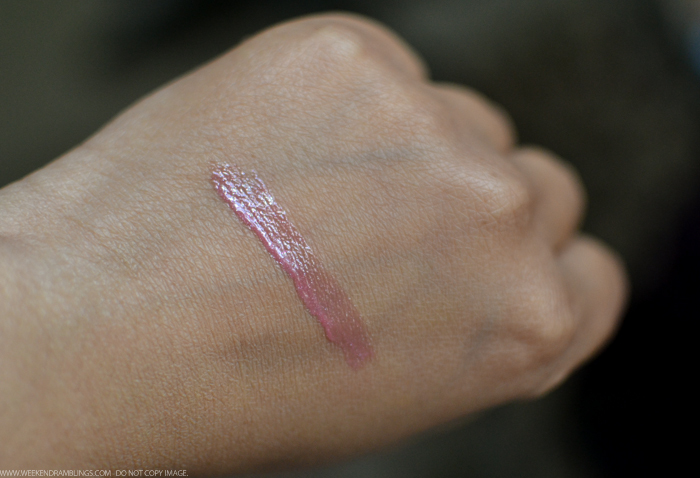 Chanel Wild Rose is moderately pigmented and I use it either over a lipliner or a lipstick. In the photo above, I used a lipstick to just even out my lips a bit, so the color of the lipgloss shows through better, but if you have less pigmented lips you won't need this step. Chanel makes some of the best lipglosses, imo, because of how moisturizing they feel on the lips and how nongloopy and relatively nonsticky they are. 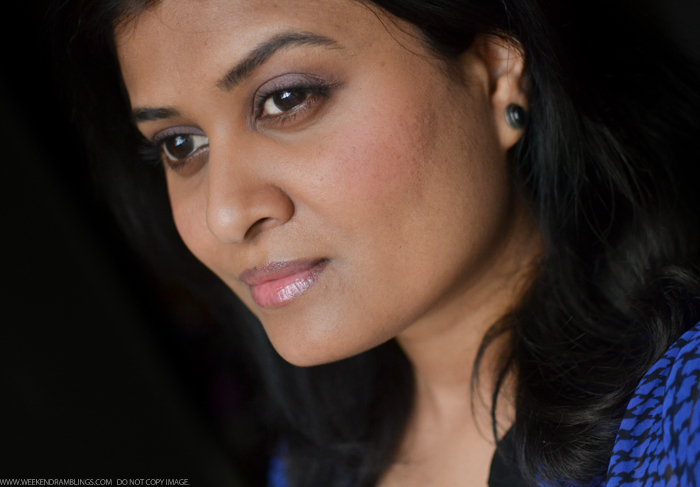 Wild Rose is no exception, and I just love the natural effect it gives and how comfortable it feels on my lips. 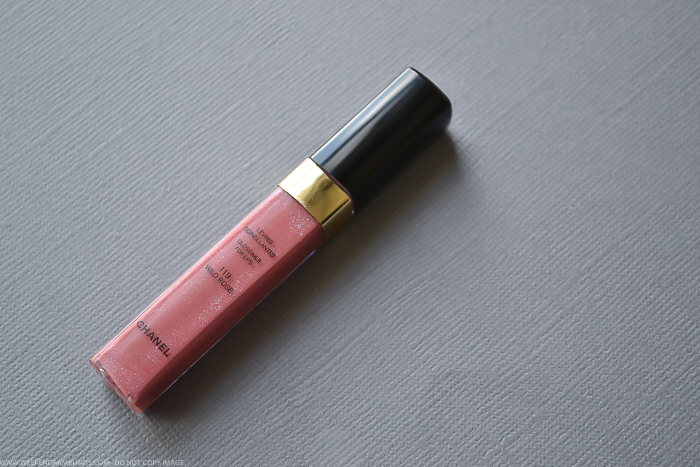 Definitely one to try if you love the Chanel lipgloss formula.